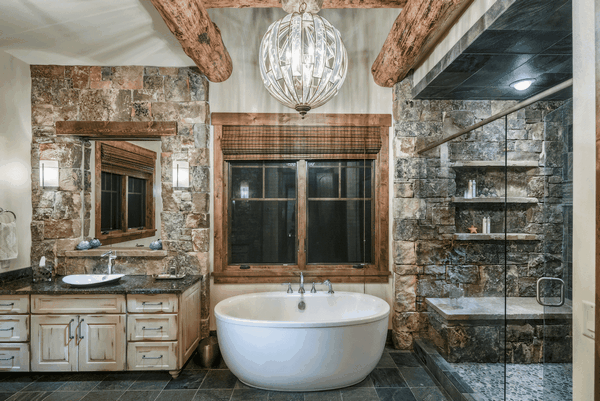 Walk in shower vs tub – a debate going on for decades and a major question for everyone who equips their new home or plans to remodel and update their bathroom. Each one has its fans and supporters who have many arguments for and against one or the other. 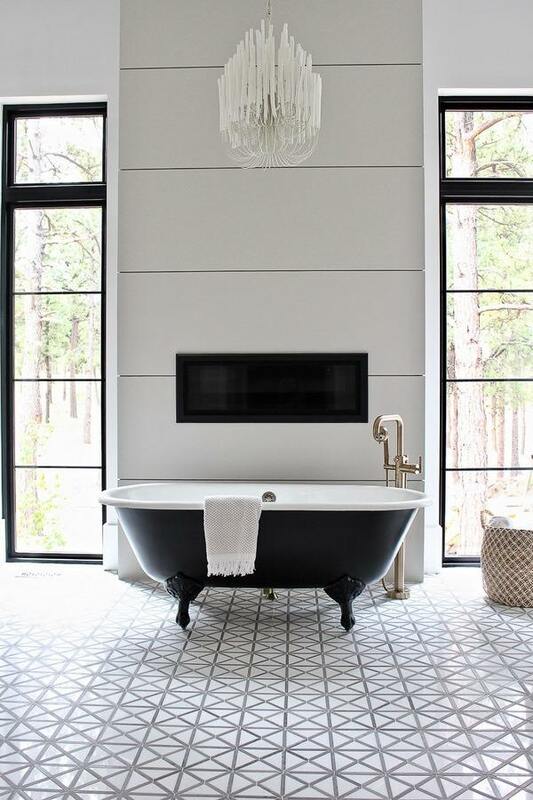 To the lucky people who have the chance to own a spacious bathroom, this discussion may seem pointless but not many of us live in large homes and mansions so we have a lot to consider and many factors to take into account when choosing between a shower and a bathtub. Age, children, lifestyle, personal preferences, convenience and functionality are just a few of them. Without any doubt, both tubs and showers are the most important part of the bathroom and they have their advantages and disadvantages. The wrong choice can be a real disaster and it could cost a fortune to correct it and change a tub with a shower and vice versa. 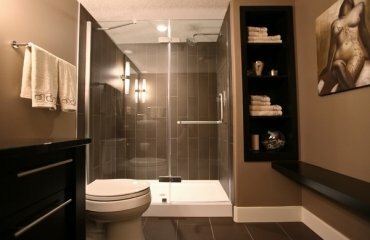 When we talk about walk in shower vs tub, we have to look closely at the properties and benefits of each option. 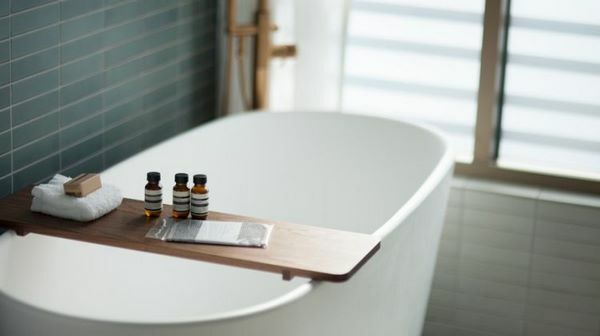 Many people are used to take a relaxing bath in the end of their day and can sacrifice bathroom storage space, vanity cabinet or vanity table but not the tub. These people will tell you that even the latest shower design does not have the attractive power of a tub filled with hot water and lush foam. 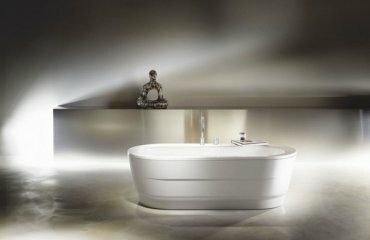 What are the major advantages of the tub? On the first place, bathtubs are available in a variety of sizes and the market offers numerous options to suit all size bathrooms. 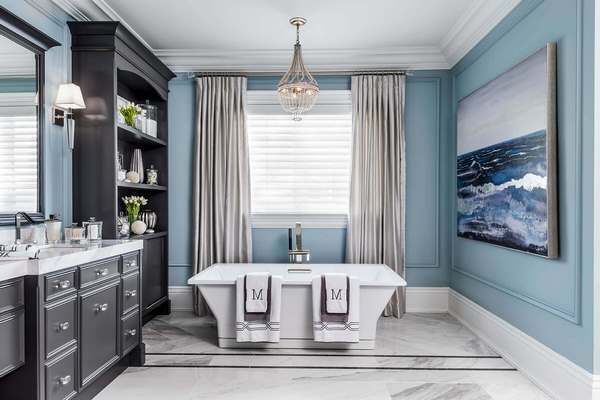 From Japanese soaking tubs through claw-foot models with a vintage charm to magnificent freestanding tubs or space saving corner tubs, you will surely find something to satisfy your taste and needs. 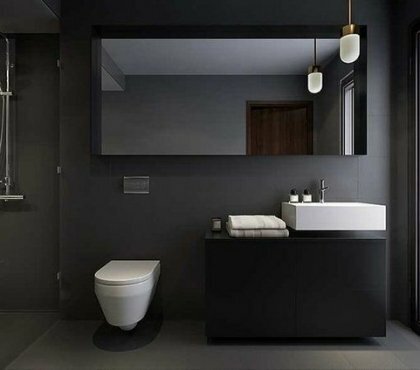 Practicality – you can place a freestanding tub anywhere in the bathroom and due to the fact that they are finished on all sides, you will not have to worry for the overall appearance. Availability – tubs are offered in a wide variety of design choices, styles, materials, etc. 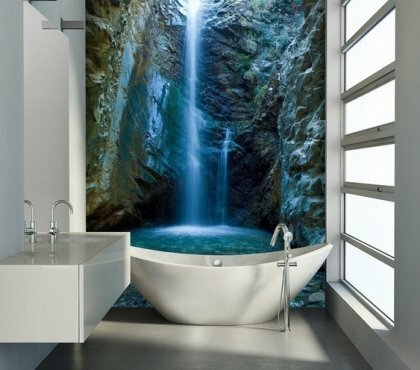 and can be blended in any bathroom decor concept. 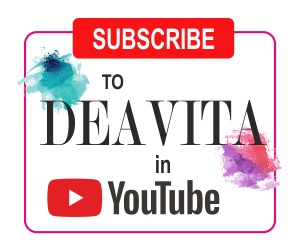 Bathtubs are comfortable and great for your sore muscles – a bath with aromatic oils relaxes the body creates a SPA-line experience in your own home. Many models are available with air jets or you can choose a whirlpool version. 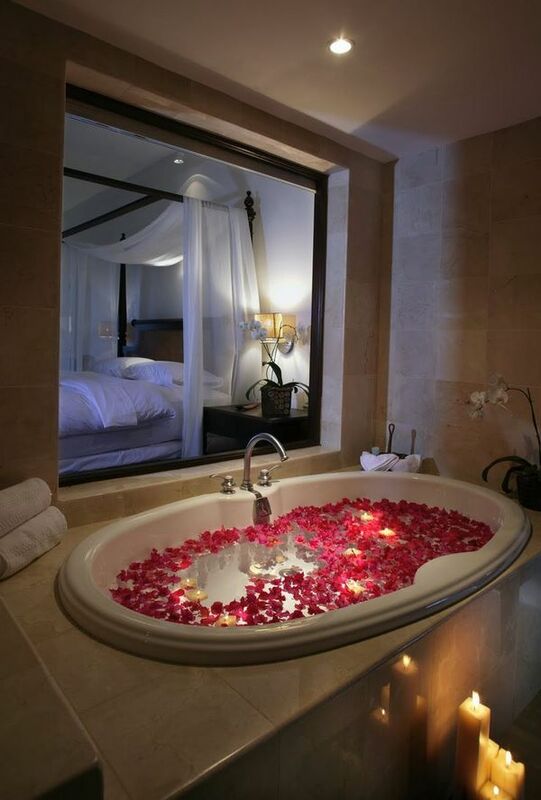 Bathtubs can be romantic and you can enjoy the flickering of candles and a glass of champagne with your partner. The truth is that you cannot fill a walk in shower with rose petals and clouds of soft foam, so tubs score a huge plus and are the obvious choice of romantic souls! The tub is a real fun for children as it can be a small pool and even play area. 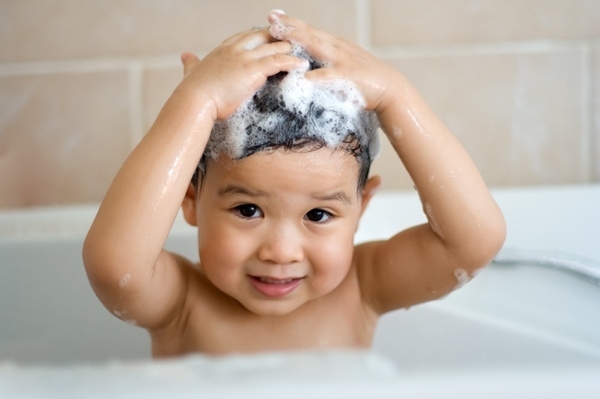 There are so many toys for baths which make an ordinary bathing an exciting experience! It is an excellent option for babies as well and greatly beneficial for the muscles and nervous system of newborns. 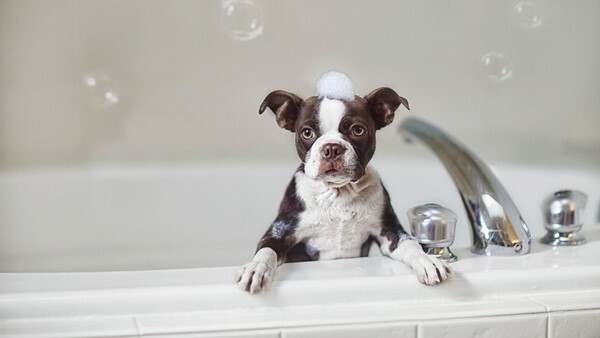 Another plus for tubs is that you can easily wash your pet after walking. It will be much more difficult to wash a large dog under the shower, wouldn’t it? Bathtubs allow you to organize the space creatively and install built-ins, shelves or storage cabinets for all accessories, towels, etc. and keep them at hand, which is impossible to do in a walk-in shower or a shower cabin. 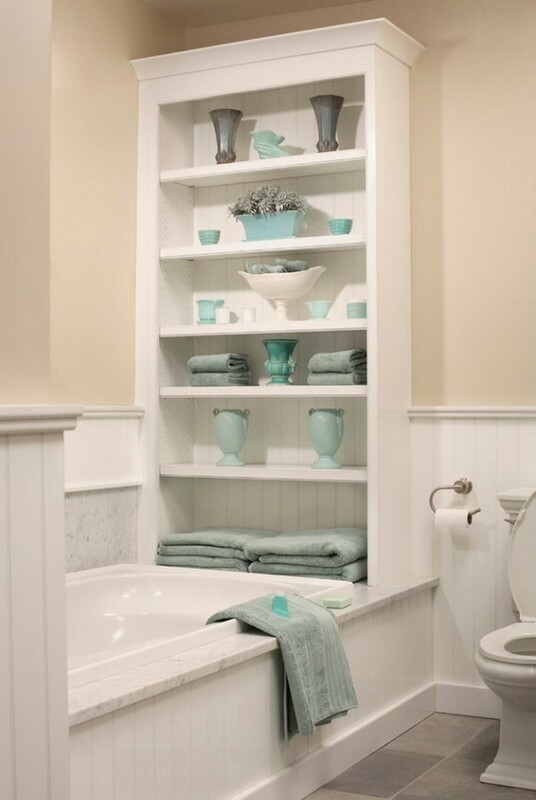 Use the available space at the corners of the walls, above or under the bath and keep the place tidy at any time. Bathtubs are universal and you cannot only soak in them but take a shower as well. 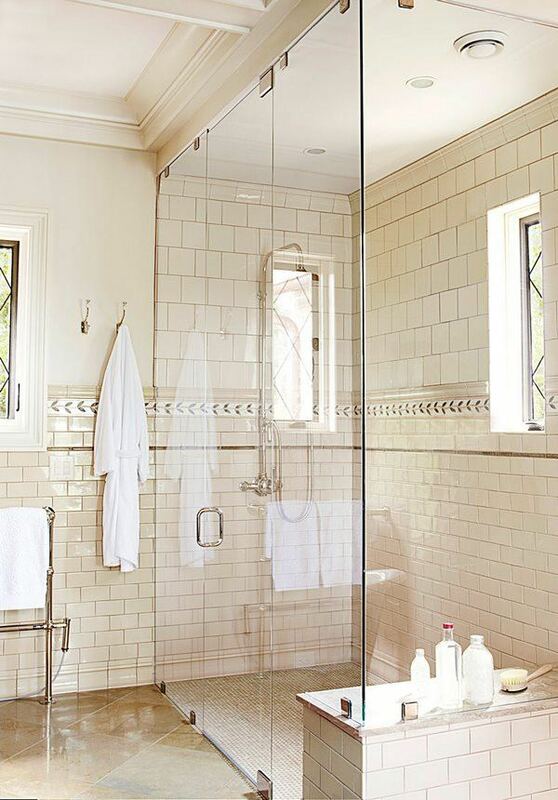 You can hang a protective curtain or install a partition wall made of frosted glass to prevent splashes. 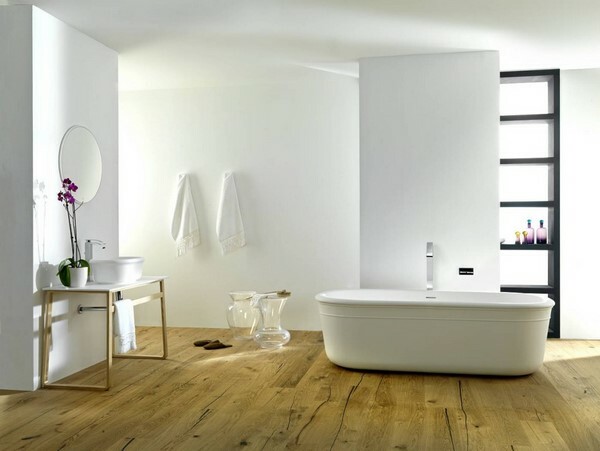 As many advantages and benefits that they have to offer, bathtubs have some disadvantages that should be taken into consideration. The dimensions are among the major cons. 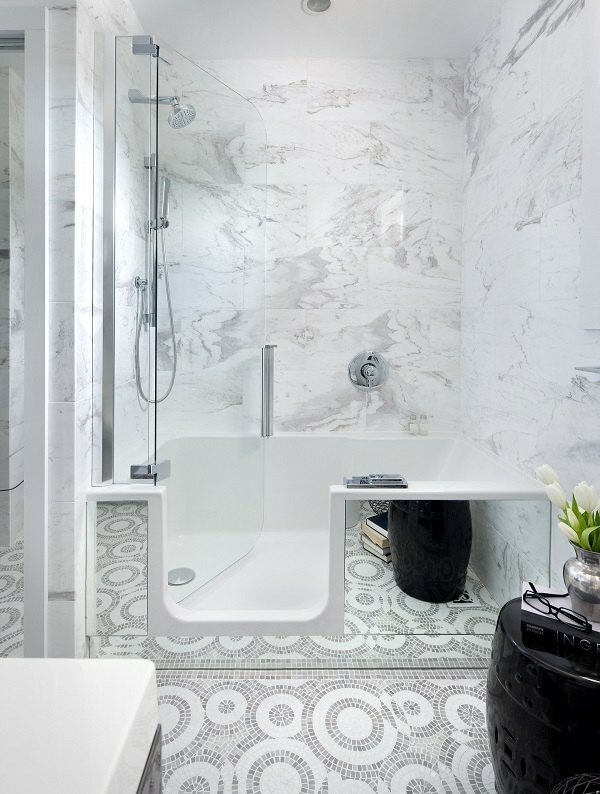 Despite the fact that baths come in a variety of sizes, they are not the best solution for a small bathroom and even if you installed a small-sized tub, there will not be much space left. Bathtubs are not convenient for elderly people and people with limited mobility. It is difficult to get in and out of the bath, and in addition, it can be dangerous too. To take a bath, you need more water than to take a quick, short shower and you need a water heater with adequate capacity to fill the tub with hot water. This means bigger expenses for both water and energy. Let’s have a look at the other participant in the duel walk in shower vs tub. 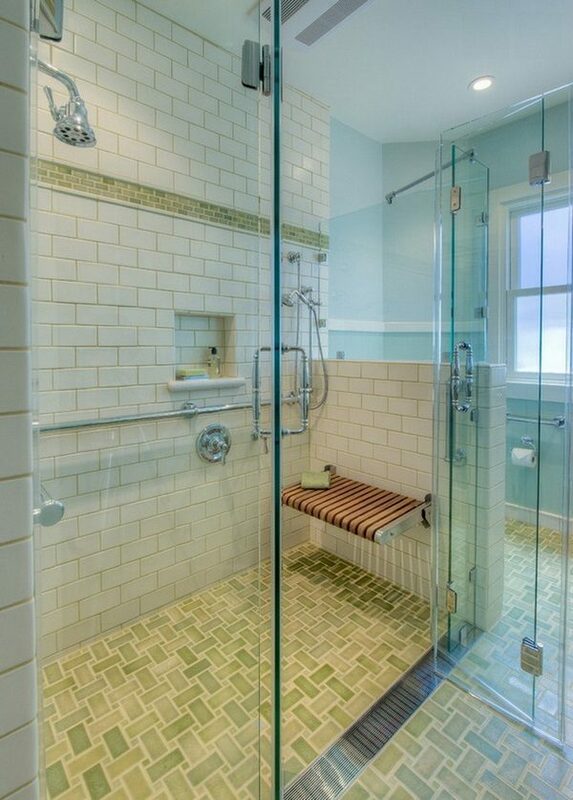 What are the pros and cons of shower enclosures? 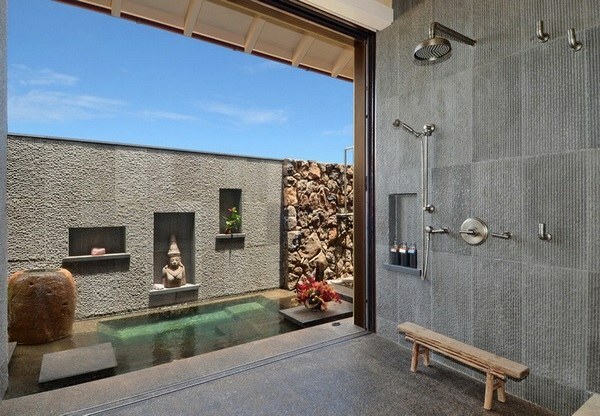 The first and most obvious advantage of showers is that they are the more convenient solution for a dynamic lifestyle. They can be installed in a corner, a niche, near a wall and this depends on the size of the bathroom itself and its architectural features. 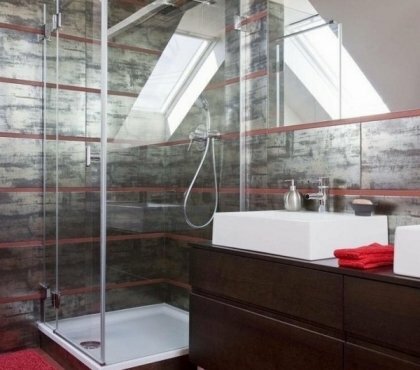 Walk in showers and enclosures can be space saving and you can install one in a small bathroom which leaves space for vanity and storage cabinets, shelves, etc. 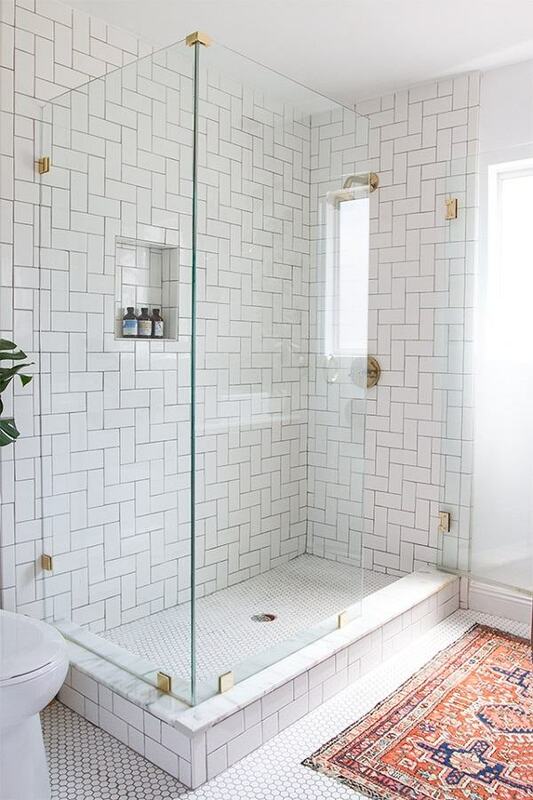 In design terms, shower enclosures give the bathroom a modern, elegant look while glass partitions come in a variety of options that do not block the light and make the space visually larger. 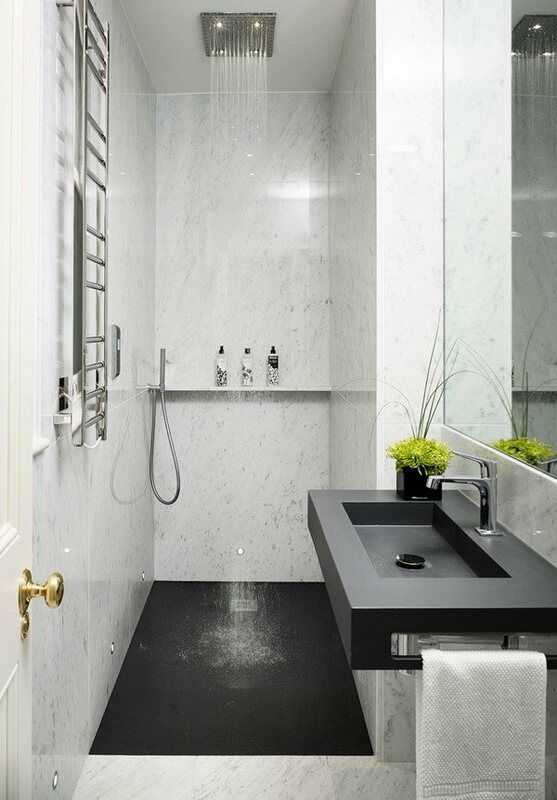 Numerous design options – Walk-in showers, glass shower enclosures, steam showers, shower cubicles – the choice is unlimited and homeowners can find the best design to suit their taste. Showering is faster and economical, all you need to do is to simply go, turn on the water, soap and wash off the foam. You do not have to wait until the bath is full. The high functionality is essential to everyone as we all need to get ready for the day and usually we have a limited time early in the morning and you save water, which is an obvious bonus. 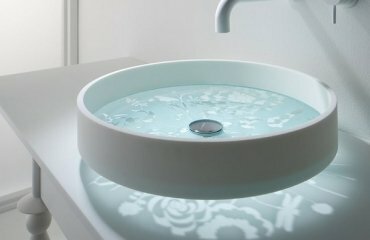 Modern technology offer fantastic features to control the head and temperature of the water by just pressing a button. There are models equipped with waterproof speakers, jets, and in the evening or during the weekend you can turn the shower cabin into a sauna. LED lights, built-in seating area, aromatherapy, built-in radio, combined shower heads – so many features to choose from! Those who would like a SPA experience can take advantage of rain shower heads, the gentle pressure of water will create the effect of tropical rain and help you relax your body and soul. Directed jets can massage your back and relax your muscles. 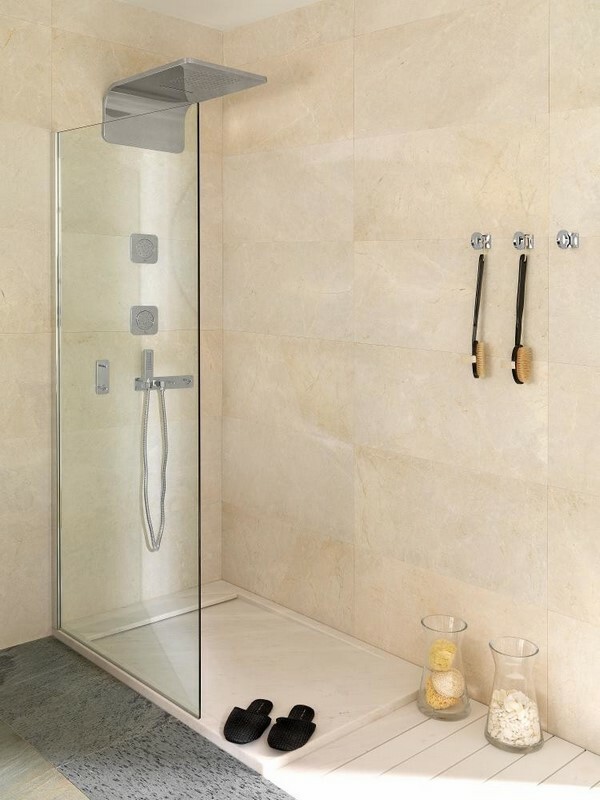 Shower is more convenient and safer for elderly people and people with limited mobility. 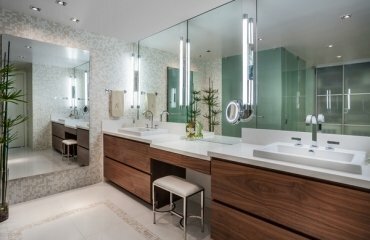 They feel more comfortable to walk in and out and you can install a bench, grab bars and non-slip tiles to make bathing easier. A mat will minimize the possibility for injuries. 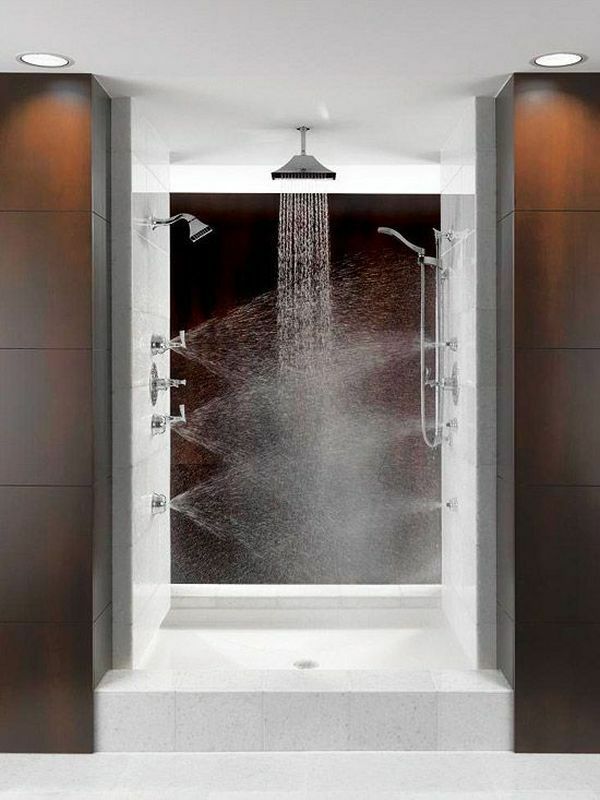 The disadvantages of showers, although not many, cannot be neglected. Cleaning can be tedious and more difficult. Glass doors and walls need to be cleaned from soap scum, mineral buildup, calcium stains, etc. Showers are not practical for small children. Low water pressure in the pipes greatly complicates the washing process. It is impossible to lie down in the water and relax. 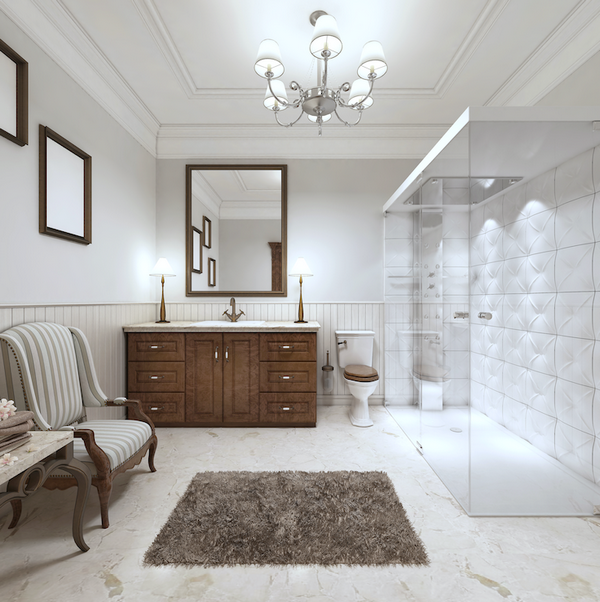 Bathtub and shower combo – this can be a compromise or simply getting the best of the two options Bathtub and shower combos are a great option for large families and this is the best way to please everyone. 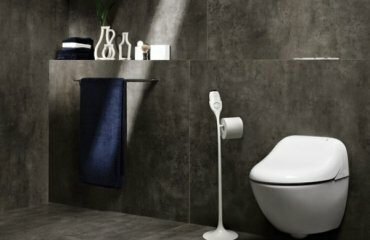 These systems that successfully combine the functions of both a shower cabin and a bathtub are produced by most of the world’s largest companies specializing in sanitary ware. The functionality of such systems is amazing – combined baths with a shower cabin easily replace a sauna, bath and spa and owners can enjoy vertical hydro massage, and when taking a bath – a horizontal hydro-massage. In addition, owners can listen to the radio or favorite music, talk on the phone, relax in the sauna or enjoy their favorite aromas with the steam bath function. Finally, which one is the winner in the shower vs tub battle? 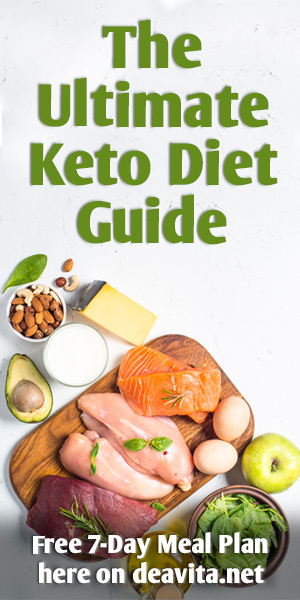 The truth is that there is not a right answer and you will have to make this choice on your own, taking into account all circumstances, as well as your personality type and the preferences of your loved ones. You and only you can decide what is essential for you and your family – convenience, comfort or efficiency. Keep accessibility in mind, measure the available space, look at the architectural features, plumbing, etc. Visit some showrooms to compare different models and do not forget that nothing is impossible, if you really want it!